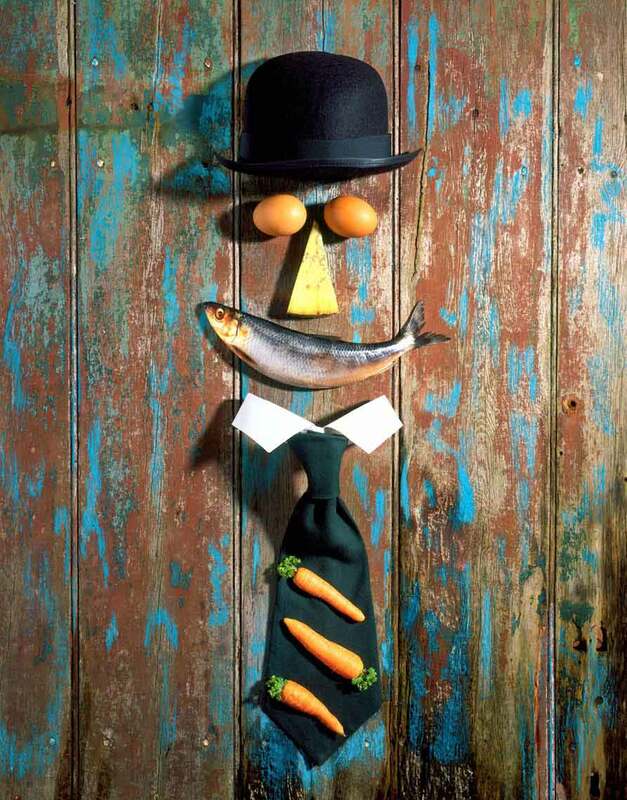 British Food - The image of a man wearing a bowler hat with a face made from eggs and cheese with a fish for a smile. This is part of a series I made on different cuisines from around the world. First I painted the background on an old wooden door, then placed the objects, and photographed it on 4" x 5" film.